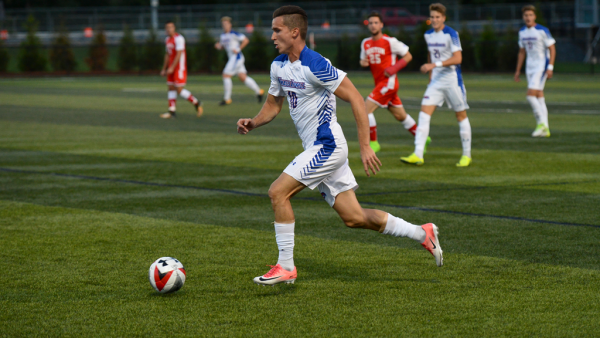 The University of Massachusetts Lowell River Hawks Men’s Soccer ID Clinic is designed to provide aspiring college soccer players an experience of a top-level college training environment. It is a two-day program that will run from 9:00 AM on the 28th of July until 4:00 PM on the 29th of July. This training is going to take place at the state of the art Cushing Field Complex which is on the University of Massachusetts Lowell campus. In addition, the program is open to all high school freshmen to senior boys. The program includes technical and tactical skills developments sessions, competitive games, and a question and answer session with the university’s men’s soccer coaching staff. The University of Massachusetts Lowell, formerly Lowell State College, is a public, coeducational, research university in Lowell, Massachusetts. It is one of the university members of the University of Massachusetts system. As a whole, it has an accreditation from the New England Association of Schools and Colleges. Moreover, the University of Massachusetts Lowell comprises six colleges and schools. They are the Manning School of Business, the Francis College of Engineering, the Zuckerberg College of Health Sciences, the College of Fine Arts, Humanities and Social Sciences, Graduate School of Education, and the William J. and John F. Kennedy College of Sciences. Currently, the university is serving around 13,600 undergraduate students. 62 percent of this undergraduate student population are male students and 38 percent are female students. The undergraduate student population is through a selective enrollment acceptance rate of 60 percent. The University of Massachusetts Lowell is top 418 in the Forbes Magazine’s List of America’s Best Colleges. It is also 156th in the National Universities category of the 2018 edition of the US News and World Reports Best Colleges rankings. In sports, the University of Massachusetts Lowell is a member of the America East Conference of the National Collegiate Athletic Association Division I. The university athletes’ nickname is River Hawks and blue and black are their identity colors. Christian Figueroa, a native of North Andover, Massachusetts is the head coach of the University of Massachusetts Lowell River Hawks men’s soccer team. He is now in his sixth year at the reins of the River Hawks men’s soccer program. Coach Christian Figueroa is University of Massachusetts Lowell alumnus. Ultimately, Coach Figueroa is the 2016 Eastern College Athletic Conference (ECAC) Coach of the Year awardee. It is also the same year when the River Hawks coaching staff won both the America East and NSCAA East Coaching Staffs of the Year. Coach Christian Figueroa is also the 2011 Northeast-10 Conference Coach of the Year awardee. Then, the University of Massachusetts Lowell River Hawks men’s soccer assistant coach is Abel Wasswa, a native of Malden, Massachusetts. Coach Wasswa is also an alumnus of the University of Massachusetts Lowell. He is the River Hawks’ former director of soccer operations. The team’s Head Sports Performance Coach is A.J. Whitehead. She is now in her fourth season with the coaching staff. At the same time, Coach Whitehead is working with the university’s men’s soccer, women’s basketball and softball programs. Finally, Lauren Trapasso is the Coordinator for Academic Support Services. 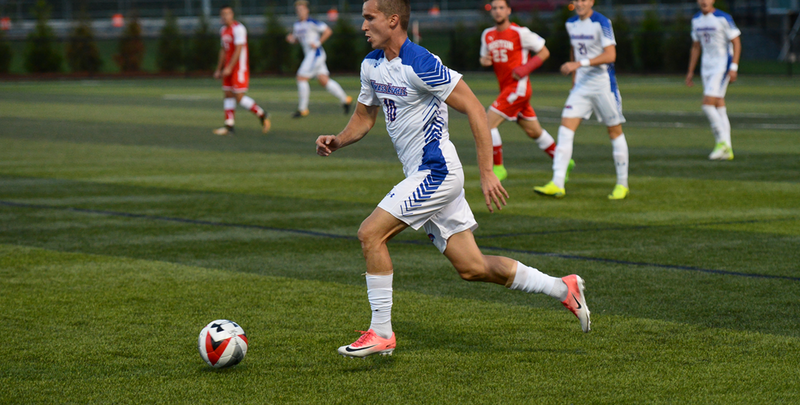 The University of Massachusetts Lowell River Hawks Men's Soccer ID Clinic is going to fall on July 28 and July 29. Its venue is the state of the art Cushing Field Complex which is on the University of Massachusetts Lowell campus. This two-day soccer identification camp is inviting all high school male soccer players in grade 9 up to grade 12.